Hello and happy Reveal Day, everyone! 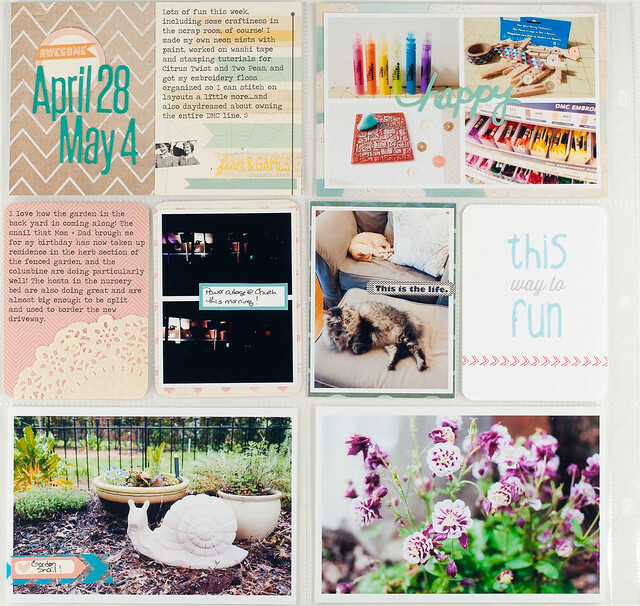 Melissa here with you today to share my weekly layout made with the July Pocket Life kit from Citrus Twist. In case you missed the announcement in the reveal post, Citrus Twist has elected to rename its Project Life kit to Pocket Life. 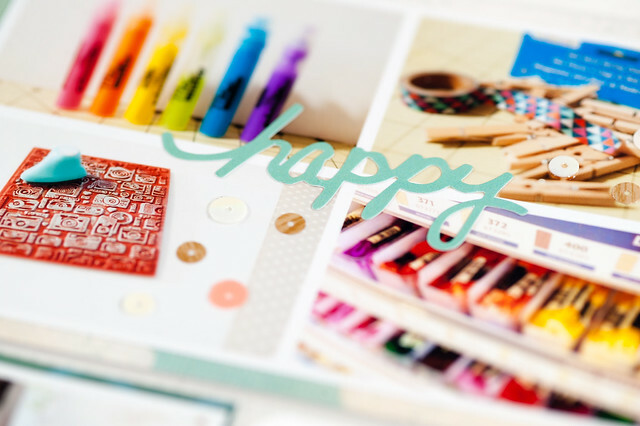 You'll still receive the same great mix of products every month including a 6x6 paper pack and an alphabet in every kit, but we've changed the name out of respect for the brand that Becky Higgins has worked so hard to build. I had fun this month trying a couple of new things on my pages while still sticking to my usual clean and simple style, so let's take a closer look at the left and right pages before jumping into some detail shots with a bit more explanation. The first new thing for me was gluing sequins directly onto a photo. I'm quite used to adding stickers or flair to my images, usually right at the intersection of a photo collage, but adding a sprinkling of sequins across the picture was new, and I love it! I adhered them (and how gorgeous are those woodgrain sequins?!?) with just a dab of Glossy Accents, which holds them in place nicely. 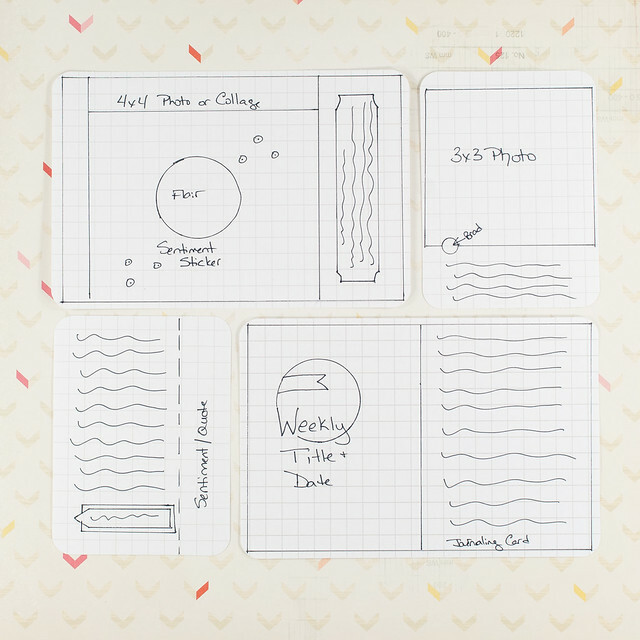 Usually I find myself sticking with a 4x6 picture or journaling block in a 4x6 pocket, but I needed a bit of extra journaling room for this week's layout and ended up splitting one of the larger pockets into a pair of 3x4 spaces. It's not something groundbreaking, but definitely an option I need to keep in mind for future layouts. 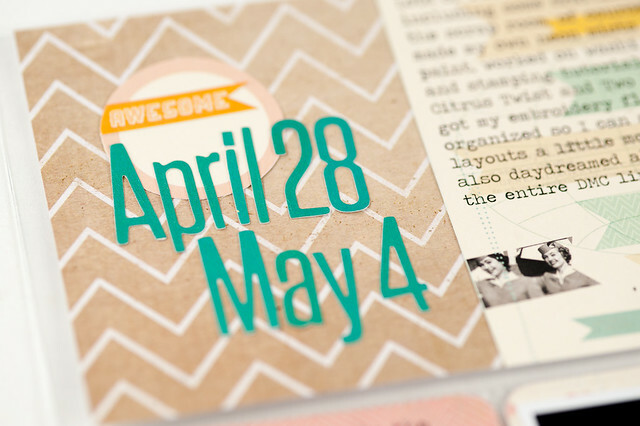 Citrus Twist's July Pocket Life kit also includes an exclusive "What a Week" flair, and I used it on my photo collage documenting the fact that National Scrapbooking Day and Star Wars Day were on the same day this year. Yes, I was a happy girl indeed that weekend! 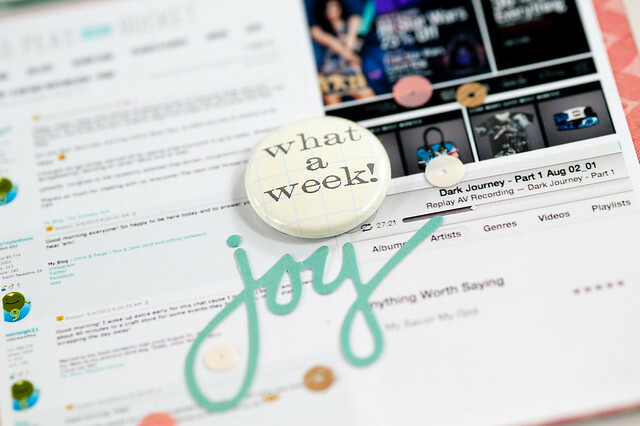 And of course I have a new set of sketches for you this week, including one that I hope inspires you to try a little sequin scattering of your own. Thanks so much for stopping by today, and for your continued support of Citrus Twist. We truly appreciate each and every one of our customers! Gorgeous layouts for PL! Thank you for sharing! I love these pages! I am in need of that Dr. Who shirt big time! Introducing the July 2013 Kits From Citrus Twist!